Click any image of this 1964 Chevrolet C10 to engage HD Image Gallery. For sale in our Atlanta showroom is a cool looking 1964 Chevrolet C10. 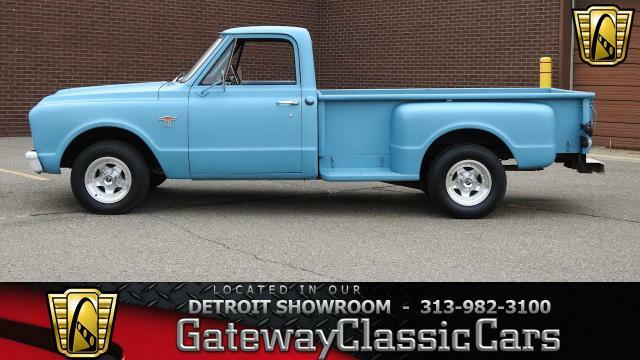 This '64 C10 for sale is a throwback, just like you would have found it in the 60s. 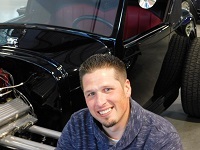 This beauty is powered by a 350 cubic inch small block Chevy V8 engine. 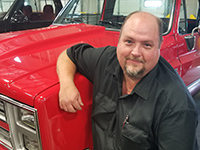 Built for reliability and ease of maintenance, this Chevy engine is the epitome of a Chevy muscle truck. 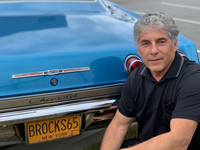 Backed by an automatic transmission, driving this 1964 Chevy pick-up for sale is a breeze, especially when added with the power steering and power brakes. Shifting on the column really adds a factor of fun and enjoyment to your ride! This '64 Chevrolet C10 fleetside for sale has an exterior that will make most truck collectors and enthusiasts jealous. The exterior consists of a lovely Matte Black paint job, complimented by various chrome accents. This beautiful quality C10 for sale is one that you'd be proud to take down to any local show, but not so nice you wouldn't be afraid to load up with mulch or hay down at the local feed store. The interior is classic, with what else, but a bench seat! The dark gray cloth is comfortable and complimented throughout the cab with various orange accents. Options on this 1964 Chevrolet truck for sale, include: AM/FM radio, power brakes, power steering, cloth interior and rally wheels with hub caps and beauty rings, wrapped in raised white letter radial tires. This Chevy is ready to work, cruise, or show! To view the car in greater detail, including 100+ HD photos and HD video, please visit www.gatewayclassiccars.com. For more information please call the Atlanta showroom at 678-894-4833 or e-mail us at Atlanta@GatewayClassicCars.com.